Whether recruiting recent graduates or experienced professionals, we always look for knowledgeable and passionate people who are committed to the pursuit of excellence in all that they do. At Augusta, we offer lawyers with exceptional skill and training in dispute resolution the opportunity to expand beyond private practice. Litigation funding incorporates the intellectual challenges of the law and utilises the training gained from private practice without the pressure of time sheets and the requirements to draft correspondence, and documents. It allows for a normal work life balance while providing a rich variety of disputes being considered for funding with the added stimulus of commercial decision-making. The Origination Team is the first point of contact for lawyers, brokers, introducers and claimants who want to explore litigation funding. They develop client relationships, answer questions about litigation funding, assess whether a matter is suitable for a funding application, provide in-firm training, assist with client pitches, help with firm marketing and work on law firms for an Augusta funding facility. Our Diligence Team assesses the suitability of matters for Augusta’s investment and manages the review of each matter before it is approved for funding. The team is made up of experienced litigation lawyers, paralegals and finance experts who help guide lawyers and claimants through the funding process. The Monitoring Team is made up of highly experienced litigation lawyers and funding experts who monitor the development of all funded cases to resolution. The role is both internal and external facing, and involves liaising with the professional team on every funded case to understand key developments and case strategy in order to assess their impact on funding. The role also involves reporting internally and to the company’s Investment Committee on material developments in a case and their potential impact on the anticipated return. The Origination Team is the first point of contact for lawyers, brokers, introducers and claimants who want to explore litigation funding. Investment Associates assist our Investment Managers with preliminary legal and economic due diligence on potential funding opportunities as well as maintaining client relationships and corresponding with lawyers, businesses, individuals and introducers. Investment Associates assist the Diligence Team to assess the suitability of matters for Augusta’s investment and manage the review of each matter before it is approved for funding. The team is made up of experienced litigation lawyers, paralegals and finance experts who help guide lawyers and claimants through the funding process. 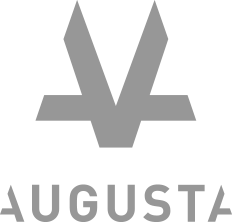 Investment Associates support the Monitoring Team which looks after matters funded by Augusta. The team is made up of experienced litigation lawyers and funding experts, who keep in touch and offer assistance to the legal team and clients throughout the dispute resolution process. The Corporate Team is responsible for managing the finances, human resources and technology that are crucial to our success.